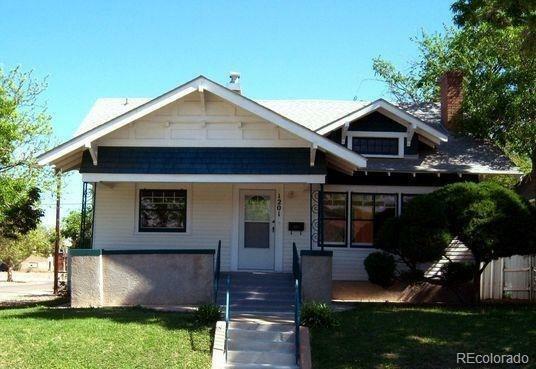 This Craftsman-style bungalow two bedroom, one bath home is ready for you to move in. This charming and completely American-style home has a big open front porch. 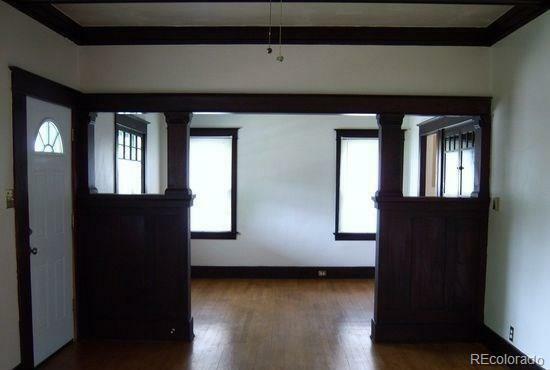 The classic open floor plan features dark, rich woodwork loaded with detail. The fireplace, with its ornate surround, is the focal point in the living room. The fireplace is flanked by a built-in bench and bookcase, and high windows on either side that catch the morning sunlight. The interior lighting is ample from the gorgeous, gridded, double hung windows. The beamed ceiling adorns the front rooms, which are divided by a wooden colonnade. 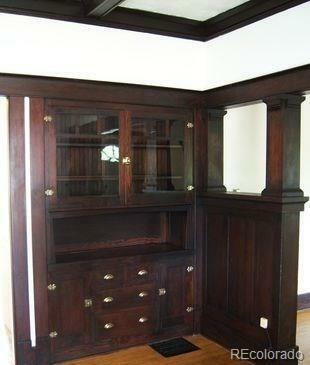 The dining room buffet has built-in cabinets and drawers for dinnerware. The hardwood floors continue throughout the house. Each bedroom has a walk-in closet with shelving for storage. The laundry room is downstairs with additional storage space. 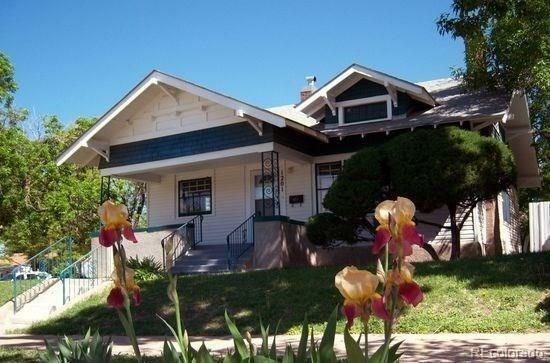 There is off-street parking from the street, a detached garage, and a fenced backyard with a brick patio and walkway.